I don’t actually care what you call these teams, as long as you have the same intent: the team works together to finish work on a product or feature set. But, I don’t see teams being able to implement by feature often enough. I more often see this organization, where the teams focus across the architecture, not through it. 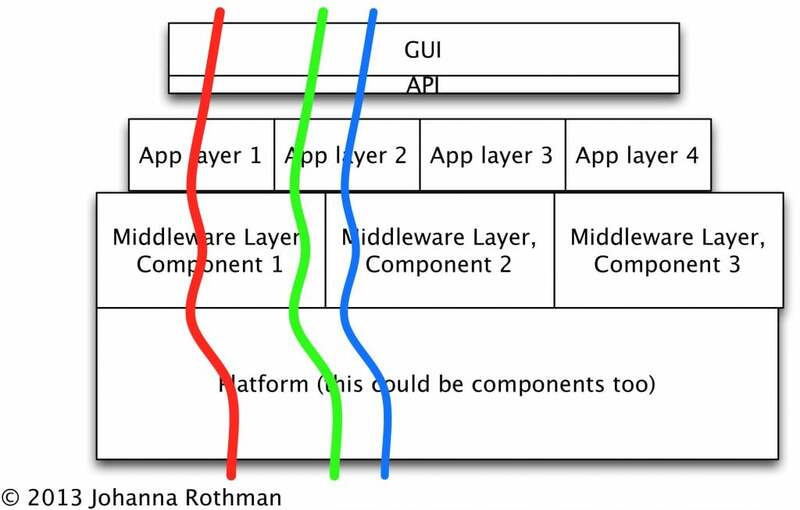 The platform team provides the red pieces at the bottom. The platform team is a cross-functional team with developers and QA and maybe a DBA if they need it. 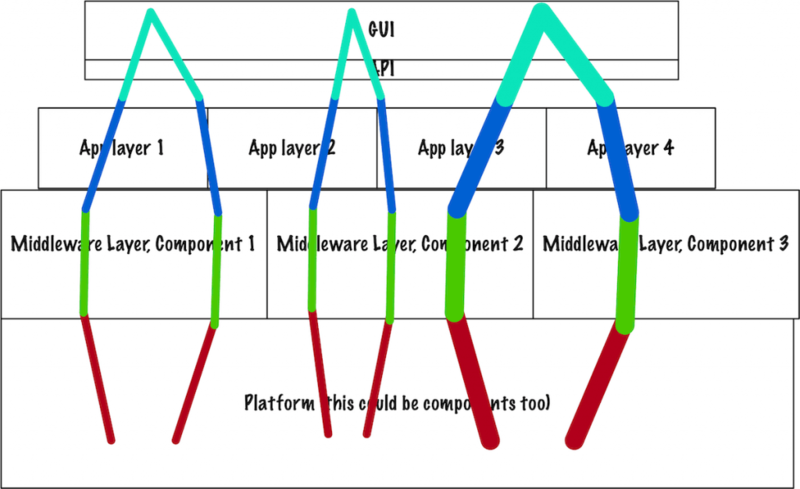 However, even if they are cross-functional, they are still a component team because they can’t create a feature slice through the architecture. The planning is a problem because the team configuration means we interrupt the teams on a regular basis to replan. They’re not working on new features. They spend time estimating and organization in prep for a new plan that might need to change the next week. That’s a problem, but it’s even worse for the product value team. When teams organize by component, not features, the product value team cannot shepherd the business value of the product.